Dogs by nature are social animals, they love people and interacting with us. I do not and probably never will believe a dog is born vicious. Some will come into this world with a dominant personality (are you listening, Riley?) and that’s just part of Mother Nature. Some animals are born to be dominant leaders and others will find their place as submissive followers. In a pack of dogs, each dog has it’s place and if one steps out of line and crosses the pack’s boundaries you can bet a more dominant dog will “remind” the one over-stepping of it’s position in the pack. If you aren’t well-versed in dog behavior, one dog putting another dog on the ground can be a scary thing to see. You might even think you’re witnessing a dog fight, when it’s really not. The first time I saw this happen, I panicked thinking I was looking at a dog fight in progress. Lucky for me, there were people around that explained what was going on and although I don’t like to see this, I have accepted it as part of dog behavior. A German Shepherd’s instincts are to protect not only itself, but it’s pack, it’s family. Some protective breed dogs are capable of taking this to far on no notice whatsoever and it can be pretty darn scary. We don’t always need our dogs to protect us, but they interpret things their own way and if you’re giving off “invisible to you but visible to your dog” signals, you could have a problem. What’s this got to do with socializing your dog? Read on and I’ll give you my take on this. It is an absolute must to properly socialize your German Shepherd! No or improper socialization can make for an unpredictable, dangerous dog. A responsible dog owner knows that society dictates that the owner is personally responsible for their dog and the actions (and reactions!) their dog exhibits. 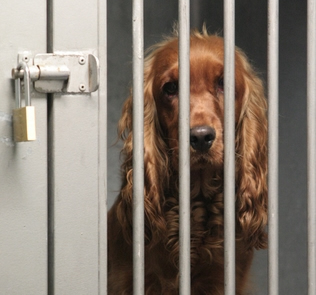 If your dog reacts in a way that society deems is unacceptable, you could not only lose your dog, but your home, you could face payment of medical bills if your dog bites someone and the potential for a lawsuit is never far from becoming a reality. Let’s not forget the part about “how will you feel if your dog hurts someone or another dog?” Depending on the severity of any injuries, this may be something that you will live with daily the rest of your life. Don’t forget that a large majority of our members of society feel that if a dog bites it’s vicious. They don’t look at nor do they understand or care about any surrounding circumstances. All they see is the fact that the dog bit. Most dogs are experts at picking up on their owner’s moods. German Shepherds have what seems to me to be an exceptional knack for this. I am by nature a fairly nervous person. I don’t do well in crowds and in general I’m just not the most confident person there is. This is not a good combination for me and Riley because he can be what I call “over the top over-protective” of me to begin with. (We’re working on this!) What that means to me is that he will protect even when I don’t need to be protected.I must constantly be on guard with my own mood so that he doesn’t pick up signals that I don’t even realize I’m giving off. Dogs can easily translate a nervous owner into being an owner that needs protection even if the source of our nervous-ness has absolutely nothing to do with what’s going on at the moment or who’s company you may be in. Having to constantly watch myself is really tiring to the brain! I try hard to be relaxed around him but this is a whole new way of life for me so doesn’t come easy. I know in my head that if I’m calm, he’ll be calm but my head doesn’t always win the war inside. If I’ve even got butterflies in my stomach, he takes it upon himself to guard me. You can definitely trust me when I say this is a very dangerous combination and one that you do not want to have to deal with. I have not yet gotten the knack of being calm unconsciously unless I’m in my own home, so it’s real work for me in the outside world. My nervous personality isn’t evident (I don’t think) to outsiders, but Riley knows without me saying a word to him! I’d like to be able to say that this is a favorable quality and in some instances it would be. GSD’s are a protective breed dog by heredity and my problem kicks in his protective side quicker than you can blink your eyes. It’s very important to have top-notch control over your dog no matter what. If you have the same problem that I do, near the top of the list is having absolute and total control and being able to read your dog every minute. I haven’t gotten the “being able to read my dog” down real well and I contribute that to the fact that Riley is capable of moving at the speed of lightning! Humans need a moment for their brains to process what’s going on with just about everything. When your dog moves faster than your brain, being able to read him is not easy. If you don’t see it coming, how can you stop it, know what I mean? Properly socializing your German Shepherd is number one at the top of the list and will help you gain and keep control of your dog when necessary. Proper socialization will more than likely help to minimize and perhaps even eliminate any potential problems depending on the degree of “guard dog” your own GSD has within himself. Nissa is a total ‘nudder story, she is not a GSD that considers protecting me to be her job. You’ll never take the protective nature out of the GSD, but you should be able to successfully and immediately take the dog out of protective mode when necessary. Having a well socialized German Shepherd that you also have total and absolute control over by being your dog’s self-confident Pack Leader is a “must-have” combination in my opinion. This isn’t just a German Shepherd thing or a protective dog breed thing. It applies to every dog because a dog is still an animal at heart and even the best behaved dog will call on his natural protective instincts when they feel they have to and that can be dangerous. It’s even more important when you have a protective breed dog. I just read an article over at PetLvr called Socialization of German Shepherds, that I found quite interesting and helpful. I particularly liked the paragraph about developing a hand signal and verbal command between you and your dog which is something that is geared to help a dog follow your cue about who is a friend and who may not be and perhaps needs to be watched. I really like this idea! If you enjoy or are benefiting from our website and you like to shop at Amazon, you can help support Riley's Place by visiting and purchasing through our Dog Shoppe! HW on At Our Wits End with Our OCD Dog! Crystal on Help! My Dog is GROWLING AT ME!